a perfect wedding is every woman's dream, from her gown to the flowers, she plans every detail to be sure that her special day will turn out just the way she had imagined. 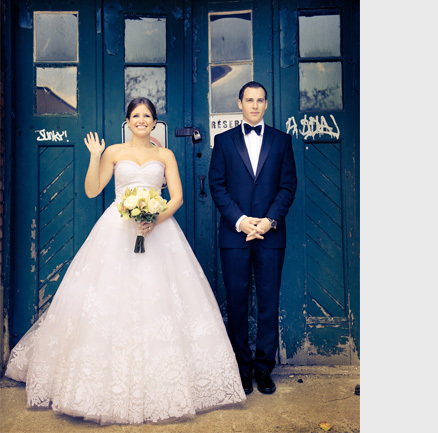 montreal based photographer dominic has been helping brides turn dreams into memories for over a decade. famous for his creative flair, his incredible talents and his profound patience, this special combination of gifts has allowed this artist to create astonishing wedding treasures. after 15 years in photography, dominic is still flattered every time he hears his clients praise. "how do you thank a guy that gives you memories like you did. you did an amazing job" says lynn and stuart cartman. words like these are no stranger to fuizzotto, and his team. their goal is to make people feel good on the day of their event, eliminating the stresses that often overbear the couple. with a candid style, brides and grooms are thrilled by the original photos they receive after their wedding day. this inspired photographer enjoys capturing moments that are authentic to the energy and emotions of the event. for more information please e-mail us at info@domphoto.com, or you can reach us at (514) 593-9080, or toll free 1-866-403-0240.